For one, baking soda is alkaline (pH 9) - whereas our hair and skin are acidic (pH 5). We should only be using products on our body which are mildly acidic, just like our hair and skin. In fact, I just wrote a post a few weeks ago about how important it is to do everything possible not to disturb our skin's "acid mantle". Secondly, I kept hearing people mention that they experienced a fairly long "transitional phase" while their hair/scalp adjusted to the "No Poo" cleansing method. That didn't sound good to me. If your hair/skin is negatively reacting to any topical solutions, you should take that as a warning sign! Don't just ignore it and call it a "transition period". The one part of the "No Poo" method that I did like was the ACV solution. Raw Organic Apple Cider Vinegar has a pH very close to our hair/skin: undiluted, the pH of ACV is between 4.25 and 5.0. It is important to recognize that not all vinegars are the same. For example, distilled white vinegar has a pH of 2.4 which is way too acidic for topical use. Intellectually, I knew that using ACV on my hair would work well. Emotionally, well, that's another story. I readily admit that I have an unhealthy fondness for my hair. There. I said it. What?!?! I'm sorry -- it's really pretty! I've always had very thick, naturally wavy, lustrous, long hair. And for someone who spent far too many years decades struggling with body image, at least I always had my beautiful hair to fall back on and cling to for some sense of self-esteem. WOW!!! WHY DIDN'T I TRY THIS SOONER?!?! I got out of the shower, and like usual, I rolled my hair up in a towel and let it absorb the bulk of the water for about 5 minutes. When I took my hair down and went to comb through it with my wide-tooth comb, I was fully expecting it to be dry or brittle or massively tangled. Nope. Nada. My hair was perfectly balanced and had no tangles at all (which is unusual for me). Not only that, but my hair was full of volume (without needing mousse or any additional products at all), and I was able to forego washing it two extra days (after the very first use)! I don't know why I keep being shocked by the fact that these simple, cheap, all-natural solutions work. I mean, they make sense! I think I've just been brainwashed by beauty product corporations for so long, saying that I must purchase their expensive scientifically-formulated products in order to achieve spectacular results, that I've missed the forest for the trees. So, yeah - that's it! Just ACV and distilled water. Depending on your hair type (oily vs dry), you can also try a lighter ratio and see how that works for you (e.g. 1 part ACV to 4 parts distilled water); I wouldn't go any higher than a 1:1 ratio. 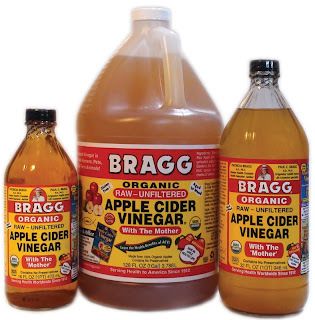 If you're planning on using this every day (instead of every 3 days, like me), then I would definitely recommend lowering the ratio to at least 1 part ACV to 3 parts water. And, yes, you read that correctly - I only wash & "condition" my hair every 3 days now (my hair USED to be grossly oily in less than 24hrs). Depending on the length of your hair, you'll end up using a couple tablespoons to 1/4C per wash. Pour the ACV solution all over your scalp (be careful not to get it in your eyes - it will sting). Gently massage the ACV solution into your scalp & roots and then work it through to the ends. 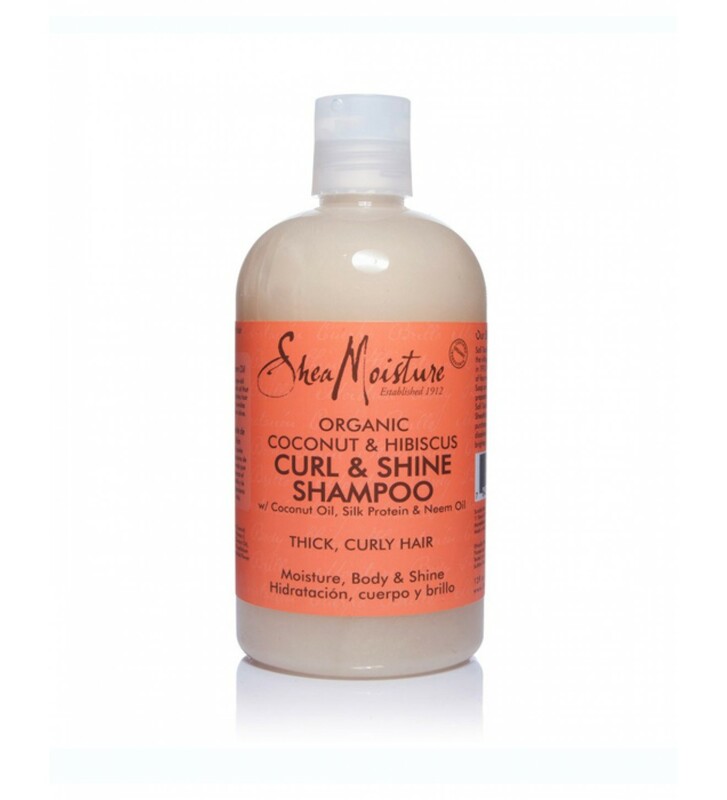 Pile your hair atop your head and let it soak while you finish your shower (3-5 minutes). Rinse with warm water to wash out the ACV, and then do a final rinse with cold water to seal the cuticle (don't skip this step). My suggestion is to store your ACV mixture in a glass olive oil dispenser with a cap, and you can just keep it in the shower (NOTE: be very careful with glass in the shower). Some people like to use a spray bottle instead. Whatever works best for you. The ACV smell will be a little strong right out of the shower, but once you blow-dry your hair, it should dissipate. If you find that it doesn't dissipate quickly enough for you, try lowering the ACV to water ratio. I wouldn't recommend using this rinse on days that you want to air-dry...unless you're willing to deal with the smell for a few hours. It is definitely much gentler than most soaps & shampoos. I don't have an "official" pH for their shampoos, but someone online supposedly tested them and got a 5.0 reading, which is perfect!! I've been hearing a lot of buzz lately about people using Dr. Bronner's Castille Soap to wash their hair and body. 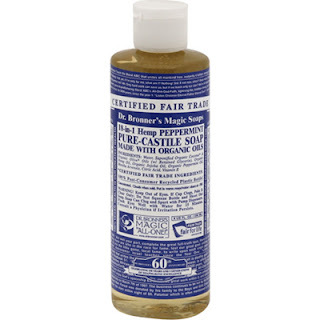 While I *LOVE* using Dr. Bronner's Castille Soap in my household cleaning products, I don't recommend using it on your hair or body. The pH of his Castille Soap is 10-11, which is extremely alkaline (remember, we're shooting for an acidic pH of roughly 5.0)! If you're looking for a homemade shampoo, here's an option for you to try: DIY Honey Shampoo. 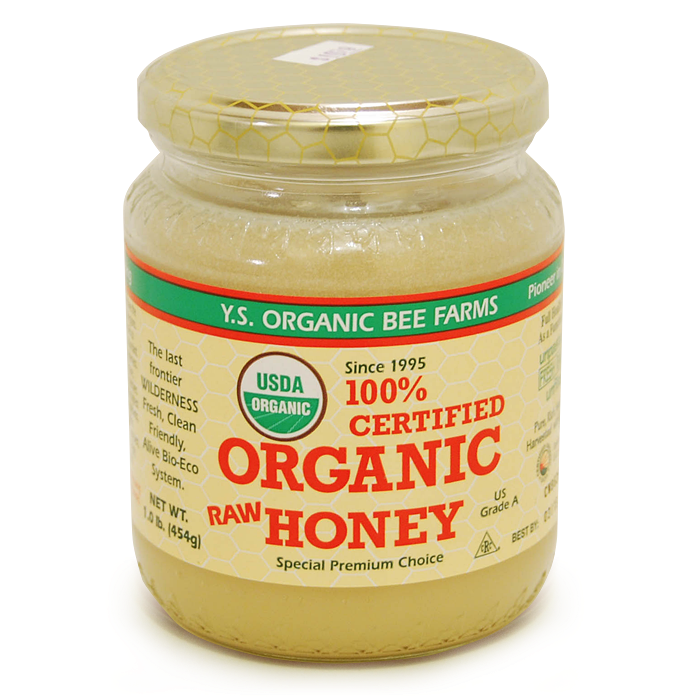 Raw honey has a natural pH of 4.5, which is right on target! 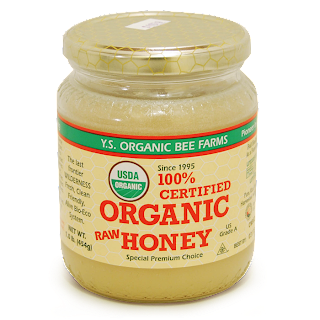 Be sure to use *raw* honey, though, because most commercial honeys have been stripped of all the good stuff and are cut with corn syrup - YUCK! For the DIY Honey Shampoo: you basically just mix 1T raw organic honey (warmed to liquefy) with 3T distilled water (yes, again, you must use distilled). You can add a few drops of your favorite essential oil if you'd like, but it's not necessary. I'm going to give the DIY Honey Shampoo a try this week, and I'll let you know how it fares in conjunction with the ACV Conditioner! 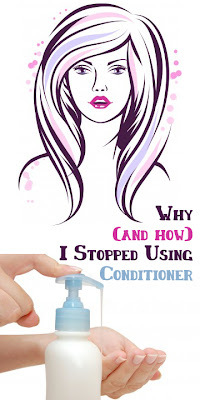 Have you guys had success with any other homemade/DIY shampoos or conditioners? I have just started using apple cider vinegar within the past few days. I have noticed my hair is really dry at the ends and is very tangled. I also have really greasy hair and my hair continues to be really greasy. Do you have any tips for what I am doing wrong? Or does this just not work for me? Thanks for the help! 1) It could be the shampoo that you are using. The one I listed above has a 5.0 pH (which is ideal). Most commercial shampoos are too alkaline and will strip your hair (which defeats the whole purpose). Or, alternatively, if you're not using shampoo at all - the ACV will not do the trick by itself. 2) Try adjusting the ACV to water ratio. If your hair is still too oily, you might need more ACV than water. 3) If you have dry ends, they are probably just damaged - and you never noticed before because of the heavy conditioners. I would recommend getting a trim. Or until then, coat your ends with olive oil before you go to bed, wrap your hair in a bun or wear a shower cap, and then shampoo/rinse in the morning as usual. 4) Focus the ACV rinse more on your scalp and less on your ends. Using an olive oil bottle with a spout makes this really easy. Everyone's hair is different, so the MAIN KEY is finding the right ACV to water ratio. Continue to experiment until you figure out what works for you. And then, come back and let us know how it goes! Okay, I'll keep playing around with it. Thanks for responding! you are truly amazing im allergic to everything bad pretty much and you have enlightened me !! thank you so much I just have one question. . Using "parts" just makes it easier for anyone to decide however much they want to make. For example, "1 part ACV to 2 parts distilled water" could equal: 1 tablespoon ACV to 2 tablespoons distilled water....or....1 cup ACV to 2 cups distilled water....or....1 liter ACV to 2 liters of distilled water. You can make as much or as little as you like. It's a year later hows your hair doing now? I used ACV recently in order to deal with the product buildup in my hair, and it was fantastic and my hair turned out gorgeous. But it was recommended to condition from root to tip afterward (which I did, and it was the best experience I've ever had with conditioner).